In early May 2011 Robin Carnahan, Missouri’s Secretary of State, announced that A.G. Edwards & Sons LLC will pay $755,000 in order to settle charges that they improperly handled annuity sales. The investment firm, now a part of Wells Fargo Advisors, purportedly sold variable annuities to elderly customers sans proper documentation. An investigation by the Securities Division of the State of Missouri into the conduct of AG Edwards began after a client reported “irregularities” following the liquidation of his variable annuity. Upon investigation, it was discovered that the firm sold variable annuities to elderly investors without maintaining proper records of the transactions. Because proper documentation was lacking, the annuity sales were not in compliance with the company’s own policies and Missouri state law. Approximately 31 investors were impacted by this lack of due diligence on the part of the brokerage firm. In compensation, AG Edwards will pay them $381,993. They will also pay for the costs of the investigation and contribute $375,000 to the Missouri State Investor Education and Protection Fund. 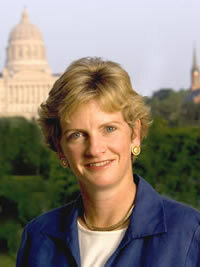 In an April 2011 press release, Carnahan said she appreciated AG Edwards’ willingness to cooperate with state officials. Moreover, she urged those who fear for the safety of their investments to seek help. Did you know that California law requires brokers to provide compelling reasons for the exchange or sale of variable annuities belonging to clients 65 or over? If you feel that your variable annuities have been mishandled by a broker, contact Carlson Law. Elder abuse isn’t just physical and/or emotional. It can also be financial. If you’re an older American, protect yourself from financial loss by being aware of scams and scammers in your community. Today, investment advisors who claim to be “senior specialists” can pose a threat to your security. Although some of these “specialists” have completed educational courses and exams, others have little or no training. Can they reduce your taxes just because you’re a senior citizen? Can they protect you from normal market risks? Or get you out of probate costs? The answer is no—on all three counts. As with most scams, if it sounds too good to be true, it probably is. If you’re 55 or older, a so-called “senior specialist” may invite you to a free dinner and seminar. If you attend, be on your guard. You’ll probably be pressured to contact the presenter after the presentation. Very often seniors are advised to liquidate their portfolios and buy financial products from the “specialist,” who then receives a high commission. Unfortunately the products that are often sold, such as variable annuities and equity indexed annuities, have long holding periods and early withdrawal penalties, which can make them particularly unsuitable for older people. If you’re approached by anyone claiming to be a “senior specialist,” check his or her credentials with your state securities regulator. The specialist may be an unregistered investment advisor. To learn how to contact the regulator where you live, go to http://www.nasaa.org/QuickLinks/ContactYourRegulator.cfm. To check a broker’s complaint and disciplinary record, visit “FINRA Broker Check” at http://www.finra.org/Investors/ToolsCalculators/BrokerCheck/. If you think you’ve been the victim of investment fraud at the hands of a “senior specialist,” contact Carlson Law today at 619-544-9300. We may be able to help you recover your financial loss. After filing its first quarter financials, the parent company of Securities America, Ameriprise, announced plans to sell the embattled firm. Securities America, which is in the process of negotiating settlement of a class action suit filed against it for investment fraud, allegedly sold clients hundreds of millions of fraudulent Medical Capital and Provident Royalties securities. An April 25, 2011, article in Investment News (“Ameriprise Shopping Securities America”) describes Securities America as financially strong. A follow-up article on the 26th, however, puts that somewhat into question as it announced a whopping $115 million first quarter loss. Nevertheless, Ameriprise asserts that Securities America can operate without disruption thanks to its parent company’s sound financial backing. Can Ameriprise find a buyer for Securities America? According to Ameriprise management, it’s in the process of “identifying” one now. The sale, it claims, would let the company “focus on growth opportunities” while Ameriprise focuses on “Ameriprise branded-advisor business.” The company also claims that the sale would not affect settlement of the current securities lawsuit. According to articles by analysts Liz Skinner (Investment News), Jean Eaglesham and Dan Fitzpatrick (Wall Street Journal), Wells Fargo & Co. has consented to dish out a whopping $11.2 million to investors. What’s the reasoning behind this generous payout? The financial giant is hoping to lay rest to charges by the Securities and Exchange Commission (SEC) that its Wachovia Capital Markets LLC affiliate engaged in investment fraud by price gouging customers. According to SEC charges, Wachovia engaged in broker fraud when they fleeced investors by grossly overcharging them for collateralized debt obligations (CDOs). CDOs, which are mortgage-backed securities, were sold by Wachovia at a rate 70 percent higher than their own estimate of their mark-to-market value. Although several individuals were the victims of this flagrant swindle, the primary injured party was the Zuni Tribe of American Indians. And Wells Fargo may not be the only culprit on Wall Street that dealt in overpriced CDOs. Wall Street investment firms have sold $1 trillion worth of CDOs. Were those sales examples of investment fraud, too? The SEC is looking into it by subpoenaing records from JP Morgan, UBS, Deutsch Bank and Citigroup—and arranging preemptive settlement discussions with suspect firms. Recently, firms on Wall Street have been hard hit by SEC actions and lawsuits filed by securities fraud attorneys—and for good reason. Their promotion and sale of trillions of dollars in complex, illiquid securities backed by risky subprime mortgages was a major precipitating factor in the recent banking crisis. At Carlson Law, we believe that these SEC investigations foreshadow future arbitration awards against firms that sold CDOs. For further questions and information, contact our securities fraud attorney in San Diego today. It’s sad but true: every day in America, more and more retirees find themselves victims of investment fraud. Although they constitute just 15 percent of the total population, the United States Securities and Exchange Commission (SEC) estimates that seniors make up 30 percent of those victimized through fraudulent investment schemes. What makes older Americans such prime targets? Many find themselves with smaller nest eggs than they’d imagined. On top of that, they’re often getting disappointingly small returns on the investments that they do have thanks to historically low interest rates. The result? They’re prime targets for scam artists. Although financial “professionals” are sometimes the guilty parties, family members are the most frequent perpetrators. A 2004 survey of state adult protective services revealed that grown children (32.6 percent) are the likeliest culprits, followed by other family members (21.5 percent) and spouses (11.3 percent). Think that you’ve been the victim of investment fraud? Then consider contacting an experienced investment attorney who can offer advice regarding your options. At Carlson Law, we’ll provide you with an initial consultation over the phone, review pertinent documents with you and recommend how you should proceed—all at no cost. Lawmakers, regulators like the SEC, and securities firms all need to address the growing problem of senior citizen investment fraud. Meanwhile, seniors themselves can take steps to protect themselves from financial abuse by following these “10 Tips to Protect Your Nestegg,” courtesy of the North American Securities Administrators Association.